Righty to Lefty had the most liked content! You know what I mean!! I think!! Stay focused colin007!! The muscles used to execute shots right and left handed are the same but their level of condition are not. My muscles fire very aggressively left handed and not as much right handed so my touch is VERY different right and left handed and this translates to putting also. I have to really calm my body down on short game shots left handed whereas right handed I feel like I really hit the shot and it comes off much softer. Eye dominance and hand dominance also play a huge roll in the shots from different sides. I am left hand dominant and so my left swing feels like a punch whereas my right swing feel like I'm throwing a Frisbee. That probably explains most of why I play with 20 more mph lefty than I do righty. It may be the same stroke in theory as it relates to ball flight laws and d plane, but how it is felt is not even close to the same. You may putt well for the moment while it is novel but if you did it over time you would see that you are nowhere close to as good a putter lefty as you are righty I assure you. You know that Molinari works with this website in regards to 5SK right so he's not going to talk bad about the results because the person who ran the test is affiliated with the site. I don't see anything wrong with looking for a different perspective and posting my findings which is all I did. I really don't care if you putt with the the flag in or out but you act like you are being fair and objective once a different viewpoint is put out there. For clarity wood shafts start at 46 inches uncut. It can be done...the muscles just take some time to become coordinated. It took me about 6 months of focused effort to become competent. That being said I still putt right handed!! Not going through that hell ever again to learn how to develop putting touch and feel !! I don't talk about swing methods....I speak about impact, ball flight laws, D Plane, etc. Science of the game is what made my transition from right to left hand much much easier. The Earth is round I am more open minded than you think and this forum is proof of it. Just because I don't agree with a lot of what is said in that forum doesn't mean that I don't understand what is being said. When he described his testing in his own words it sounded like they were pretty thorough in how they tested things. Not easy to try and put all the information together in a quick instagram video so it did seem like they glossed over the details before they posted their results. Just because they didn't describe it thoroughly as you would like doesn't mean that they didn't conduct their experiment well. I am not eager to do anything...I was watching the course vlog...heard him talk about his findings...went and looked...and posted his findings. What would you rather I had done? As a scientist you should welcome his information and then take a look at it as you did and I fully expected. It is a "one off" experiment anyway and time will tell once enough time has passed and the stats have been collected. I just put the information out there that I came across and of course we can all do with it what we wish. His description in the course vlog would lead me to believe that they were gathering some valid results upon listening him explain it. It would then be difficult to properly explain it in a quick instagram video I would think. That means that the club's total playing length is 43 inches. The shaft, which started at 46 inches uncut had 2 inches taken off the tip section and then the shaft was installed in the club head and the final playing length of the club is 43 inches with the grip installed. 3 woods aren't typically tipped 2 inches so the person is letting you know how much it was tipped prior to being cut to the finished length. Let me know if you are still not clear on my explanation. I didn't say find a breaking putt, I said find a flat putt. Maybe I should have added a flat and straight putt that are all being hit from the same spot...that is 30 to 50 feet away. 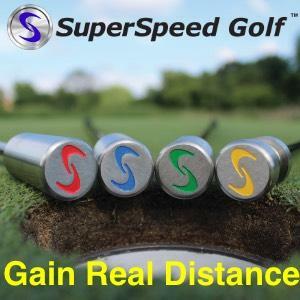 The entire fitting is done from one distance that the golfer chose depending on how much space they have available. I am not concerned with how many they make anyway...I am concerned with how tight their grouping is. If you miss to the same spot then that is a good thing...that is why I said don't look up also because I don't want the golfer to manipulate stroke length...I want the golfer to make the same stroke. A tight grouping is what I am looking for..then the correction is all about where it is in relation to the hole. If the putter fits you correctly then you can make a predictable stroke and then you can expect a certain distance will be produced reliably. Then it is a matter of how well you aim it after that. Aim is partly how the putter suits your eye but if you just love the look of it then the laserputt option will teach you how to aim it reliably. If you can lag putt into the 3 foot circle reliably from variable distances, and you make a high percentage of your 3 foot putts ( at least 90% or better when doing the Mickelson 3 foot drill on a nasty slope) I assure you that you will putt better. There is no reason to put anymore stress on your putting when it isn't the most important factor to scoring until your handicap is in the low single digits approaching scratch.